Folds and snaps for easy transport. Features hanger ring and nylon web handles. Front full length zip closure. 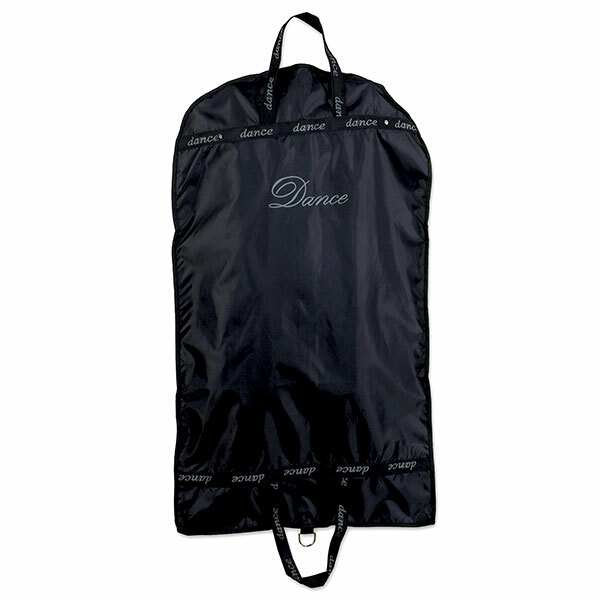 Dance screen print on bag and straps.